Everybody loves December, it’s the month of some great celebration and bank holiday: Christmas or Hanukah, New Year’s eve (that one is borderline with January obviously…) and if you live in America you also get to celebrate Thanksgiving, so much excitement! 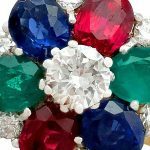 What is the December birthstone? It is therefore in all logic that December’s birthstone had to be a pretty good one, in honour of all the babies born during this extra special month. 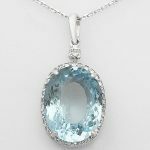 Three gemstones are often mentioned as being December’s birthstone, all of which have a lovely blue colour: blue topaz, tanzanite (which can also be purplish) and turquoise. We will go with the GIA’s list of birthstone and therefore consider turquoise as December’s “official” birthstone. Turquoises are such popular gemstones that they give their name to the well-known colour, pretty fancy right? First things first, where does the name turquoise come from? One may think it means the first turquoises were found in Turkey but it’s not actually the case! The word “turquoise” comes from the old French word meaning “Turkish”: turquoises were indeed not mined in Turkey but in Iran BUT they were imported to Europe via Turkey, hence the name! Now that we’ve solved this mystery we can carry on to the next step which is: where can December birthstone, turquoise be found? Nishapur in Iran was the original location where turquoise gemstones used to be mined and it also is where the best examples were found, it still is the case in terms of quality but not quantity. So, if you get a turquoise that was mine in Nishapur it will most likely be of the highest quality. However nowadays turquoise gemstones are mainly mined in Nevada, Arizona, China as well as Queensland, Australia, North India and North Chile. Turquoises are not what we would call “rare” gemstones so they don’t command the highest prices. 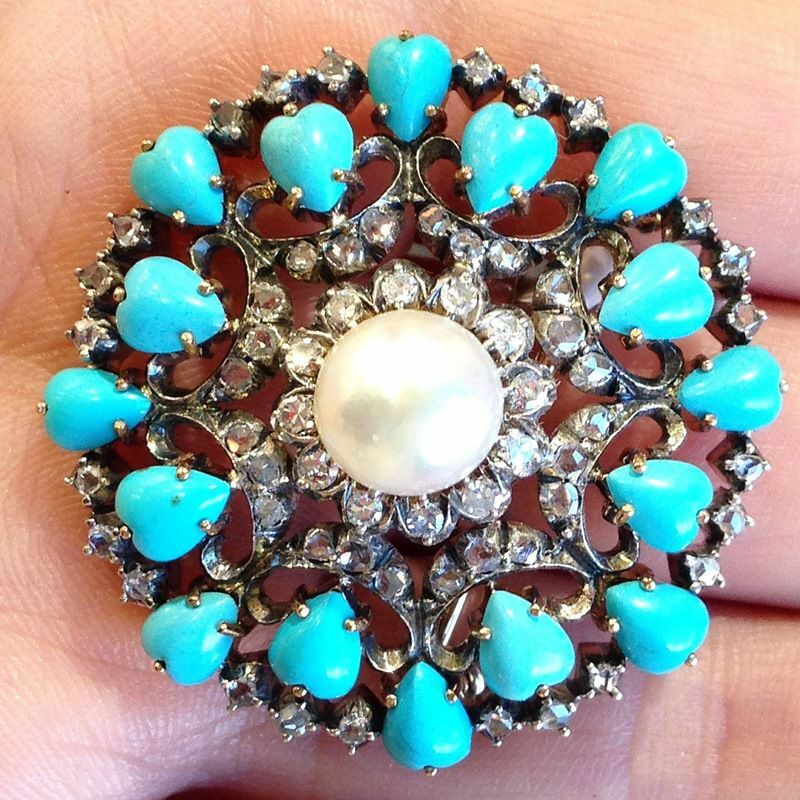 But they are very popular and widely used in jewellery, here is a stunning example of turquoise jewellery with this Victorian brooch. Turquoise gemstones were some of the first gemstones to be ever mined, this probably explains why there are so many legends and beliefs that were built around them. The first turquoises were mined during the antiquity, in 6000 BC in Egypt and in 5000 BC in Persia. At some point throughout history it was even used as currency by some American indigenous peoples: they were indeed extremely fascinated with this gemstone and saw it as a sign of wealth. 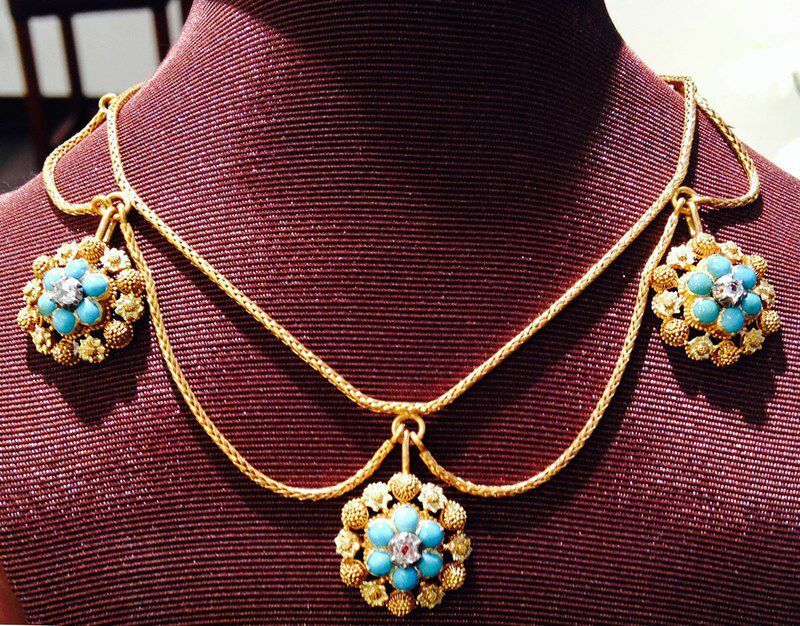 Turquoise gemstones are said to bring peace to a household and to protect its wearer from negative thoughts. It is also believed to help giving that extra confidence which will make you be more eloquent in a professional situation. (So if you are as socially awkward as I am maybe you should wear some turquoise jewellery!) Giving someone a turquoise is a gauge of friendship and a wish for good luck. As most gemstones, turquoises are believed to have curative benefits such as helping ease headaches and any type of balance problem. How to value a turquoise gemstone? Turquoises vary from very light blue to dark greenish blue, with a reasonably dark blue/green being the most common. The most desirable, which will obviously be the most expensive examples, are “robin’s egg blue” (in reference to the colour of the eggs of the American robin). Transparency and lustre also have an impact upon the value of any turquoise gemstone. 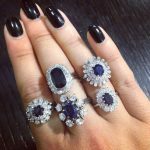 There are also some stones more or less “veiny” and when it comes to that it truly is a matter of personal taste, there is no defined rule. 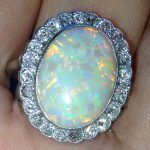 Veins are very sought after in the U.S Southwest and the Far East and where they are considered to add to the beauty of the gemstone, the exact same veins will not be appreciated in the Near East of the majority of the US where a more uniform gemstone will be preferred. I must say for me it depends on the general effect and the balance of colour on the finished stone; turquoise gemstones can be so different that one option is to compare a few to help you establish your preference. 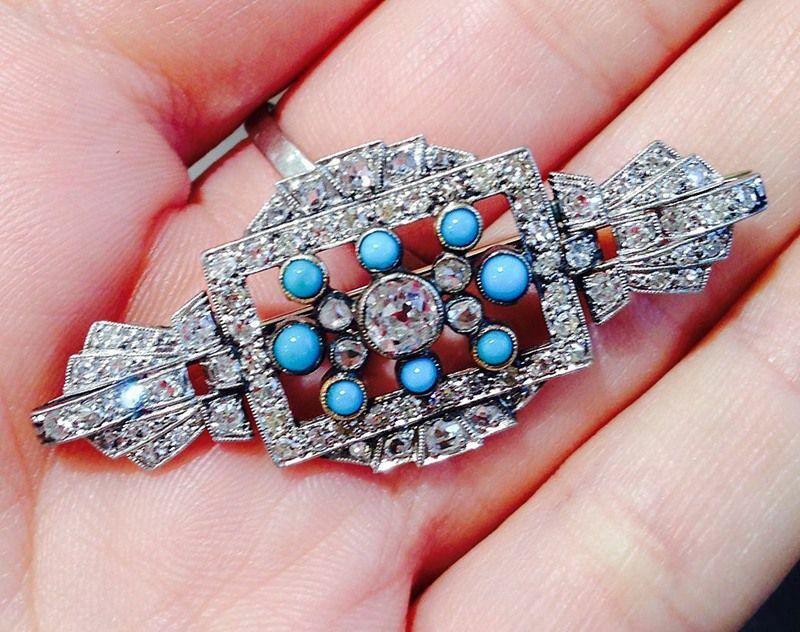 Here are a couple of our turquoise items, an Art Deco brooch and a Victorian necklace. 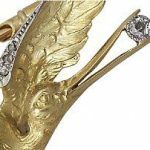 Jewellery designs and styles will also influence your choice. Which one of these would be your favourite? I will leave you with a link to all our turquoise jewellery so you can have a further look! 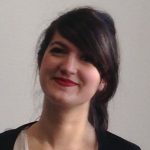 Marushka joined AC Silver in 2014 bringing hands on experience in jewellery retail and management in addition to a Master’s Degree in Media and Journalism. Next Entry: What is a Princess Cut?